Not every city welcomes newcomers with open arms. Where one sees new victims or the supply of finances, others may see danger of being different. The threat of revealing a camouflage, that has taken place for decades. Most people do not want to talk about it. What’s going on here? And is it possible to save the entire city from this captivity? Kickstarter server has room for heroic acts like Crisis at Steamfall – campaign, that is currently running there. Designer behind this game is Tom Stasiak (Assault on Doomrock) and in the case of a successful campaign, the game will be launched by Beautiful Disaster Games in 2018. Bartosz Plawecki was the only one of the fantastic illustrations. We have received a preview version of this game and we want to share our impression through the campaign now. This is a game whose story takes place on the space of large squares, that are linked together to create a map. Each site is equipped with one random concealed site with a pair of additional tokens. Figures begin in the central district. To do so, each participant has to pick a character, get apropriate board, starting resources (scrap, steam and energy), impact cubes, starting cards and action tokens. Plates for individual heroes offer columns, where action tokens can be placed and divided. If players do not want to work together and instead long to fight against each other, their goal is to get as much fame as possible. Otherwise, they will work against the flood of enemies and try to save the city. In any case, the game is divided into three rounds, where players will use the action from their columns and transform them into hope. At the beginning of each such round, something will happen to help or slow the heroes. Usually it will mean a crisis or an event, that players have to face. Then they will move their heroes on the map (cost of movement is in diamonds on locations), pick up items on the map, activate abilities, gain strength in future activities, but primarily influence different people around the city. Players can threaten or bribe them! 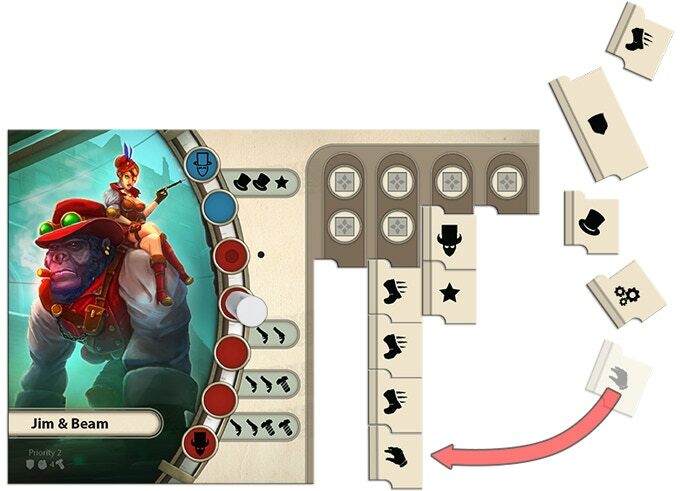 These wheel options depend on which column of his action tokens player chooses at the start of the round. For his sweet words, a player can remove a civilian’s token from the map and recruit him to his team of supporters. He may have up to two characters at the same time. The result is the same no matter what action (bribe or threat) players use. They just spend other symbols of their actions. As players move around the city, they can also visit secret locations, that mark dots of color. This ensures, that when they are revealed, the player gets the chance to use its secret action. Similarly, the ruins of alien civilizations will sometimes appear in the city, and players can explore it with their heroes to obtain a printed reward. But it’s not as easy as it looks. All activities on the map affect mood of a character, that can climb or drop on a player’s board scale. This euphoria can then transform into some bonus activity. After the third round, the whole game ends with the victory of one player, the whole team or the least pleasant defeat. Crisis at Steamfall is a really exciting game with its science fiction topic. But it also offers a combination of cooperative and competitive approach. Rarely, players will see this pair in one box so that both variants are really full. Here, according to the original ideas, it seems that this could be done. In the very description of the rules, there is no need to go into detail in this first performance. It is very easy to see how play is a different with different approach of designer. Each character is unique. Thanks to it and mood, the whole match is a very good experience. But we like interacting with civilians the most. You can add them to your party. And we have not even mentioned the possibility of equipping our hero with items, that further shift actions and possibilities to be even more successful in fighting alien civilization. You can really fast take in all gameplay and progress. It is not overly complex. But spending the action points from the columns that the player can place before can offer enough room for tactical maneuvering. And its truly original. But impression from the game also points towards graphics. Although total processing is far from over and we have only a prototype in hand, the author makes it clear to us that he means it seriously. Map graphics are imaginative enough, but they are not overly colorful. 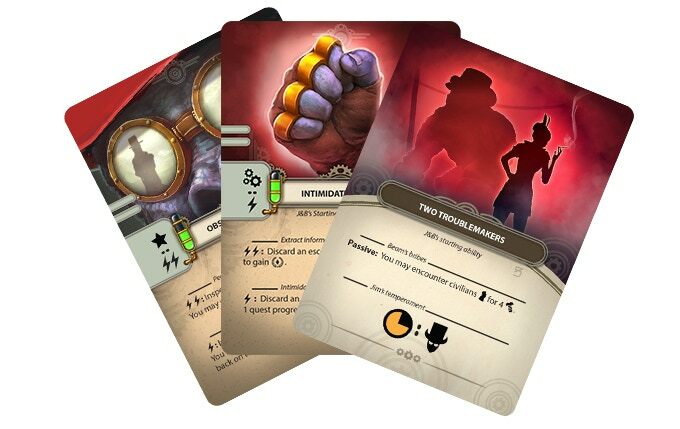 The game itself offers plenty of exciting features, including cut-out hero cards and their tokens. 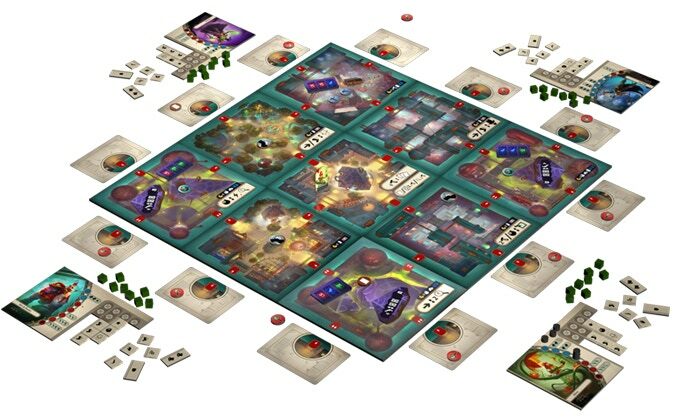 Crisis at Steamfall is a game, that surprised us very well with its appearance and course and we are glad to see it on Kickstarter. We love to support it and we recommend the same to you, especially if you are looking for an interesting cooperative science fiction game. The offer of these game is empty as a desert and this game will surely peek out of it as an interesting and unique from it. So lets help the designer put the last few stones on it and deliver Crisis at Steamfall to reality.